41-13 at Eden Park to retain the Bledisloe Cup in Auckland. The All Blacks have now gone 38 matches on New Zealand soil without suffering a loss. At Eden Park the All Blacks are unbeaten in 34 matches. The result means that New Zealand will retain the Bledisloe Cup for a 13th straight year. before taking the lead with a penalty from Quade Cooper. scoreless until the 76th minute when Israel Folau scored Australia’s only try. 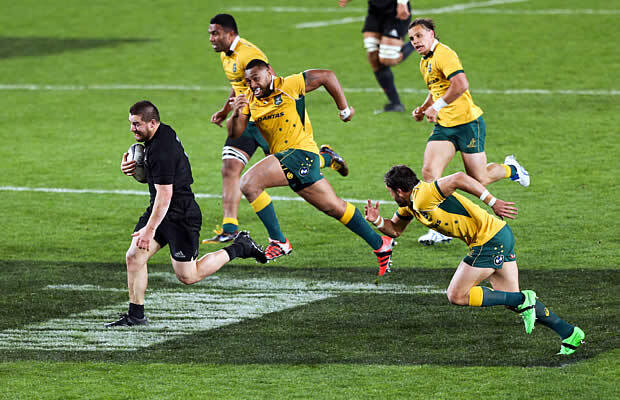 The turning point in the match was when New Zealand were awarded a penalty try from Quade Cooper high tackle on Aaron Smith which also saw Cooper in the sin bin and whilst he was off the All Blacks opened the try scoring floodgates. with his boot landing all five conversions and two penalties. were limited to one late touchdown by Israel Folau and two Cooper penalties. 142nd Test, Dan Carter, Conrad Smith, Ma’a Nonu, Keven Mealamu and Tony Woodcock. penalties in the opening 10 minutes. Wallabies on the board first. stages of the first half. 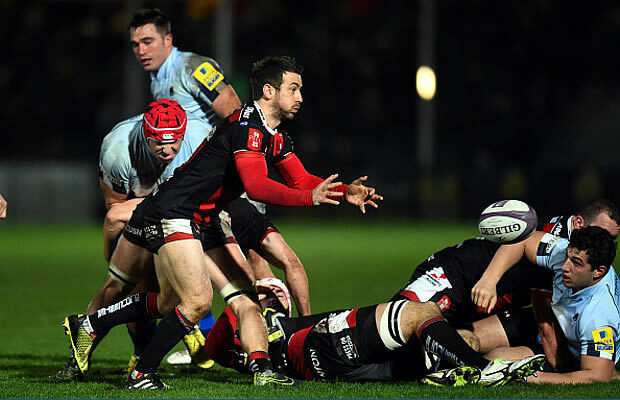 try, an end-to-end move that started with a turnover by Sam Whitelock. the break with the All Blacks ahead 13-6.
onslaught, were replaced by the more mobile David Pocock and Dean Mumm. in quick succession before Nonu scored his second with 15 minutes to go.